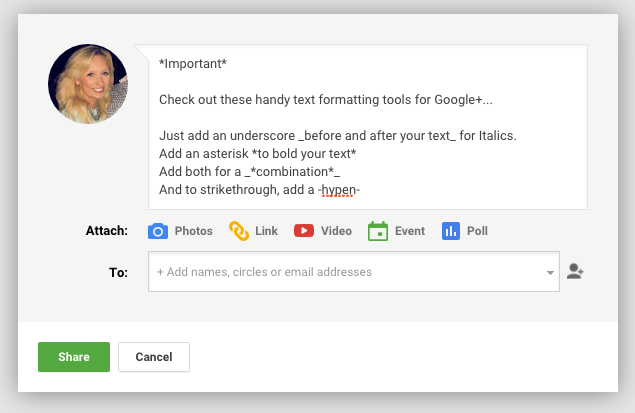 Text formatting tools for Google+ posts: This handy tip shows you how you can edit your text to be bold, italic, or have a strikethrough in your Google+ posts. 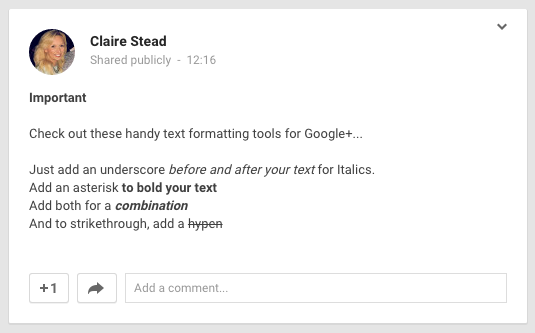 Ever wanted to make text in your Google+ post stand out a bit more, or needed to be able to emphasise a point? 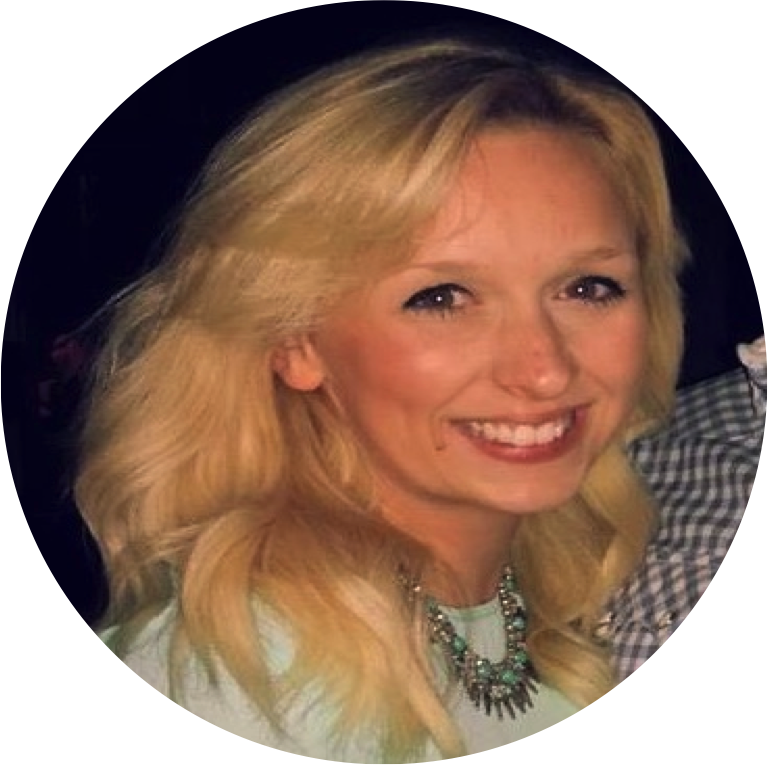 Read on to find out how to format your text to help you do this. To use text formatting, open up a new Google+ post as normal, and begin to write your content. To make your text bold, add an asterisk at the start and end of the text. To make your text italic, add an underscore at the start and end of your text. You can also do a combination of the two, to make your text bold italic. Additionally, you can also add a strikethrough by adding a hyphen at the start and end of your text. See below for my post in action. When you hit share, your formatting will update and you can now see the changes on my live update. For more tips and tricks like this, visit our Google Apps Tips blog which is updated weekly!